many more small conveniences or other features that fill gaps left by SharePoint 2007 and SharePoint 2010. One commonly requested feature that kept coming up (and one that we have resisted to implement) was the ability to use a spreadsheet for file import. The idea seems straight forward. Create a spreadsheet that catalogs you files. Let users input field values into the spreadsheet. Then import the files using the spreadsheet for your metadata. Step 3) The second window will give you an ability to apply metadata values. It is a good idea to take advantage of this feature and apply as many metadata values as since all the data is validated against SharePoint. There are many capabilities for intelligent and auto tagging available including mapping to NTFS values such as folder names, file names, owners, etc. 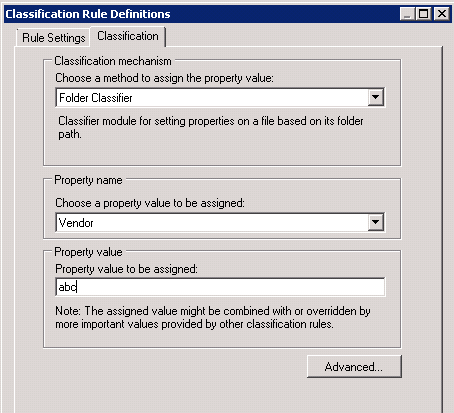 ; or to select values directly from SharePoint managed metadata, choice and lookup lists. The layout must notbe changed or otherwise the imported file will not be recognized. However, the content may be edited to your preferences. Remember that any values that are modified or edited must be valid to SharePoint. Otherwise they will be ignored or an error will be generated. Step 8 ) The contents of the file will be loaded in the space provided below. You may stretch and scroll the screen to view the contents. Step 9) You may check individual items or the Check All button at the bottom to select everything. In addition if you are using a custom character set, select it in the provided field. Step 10) To start the import, press the Finish button. In ten easy steps you can bulk upload content from File Shares using a spreadsheet for metadata. Give it a try and let us know what you think. Any and all feedback is always appreciated and welcomed!